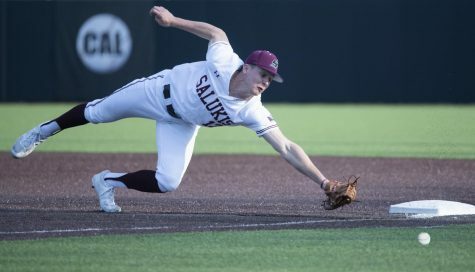 The SIU baseball team took on the Austin Peay Governors (3-1) Tuesday evening and walked away with its first win of the season, 16-7. 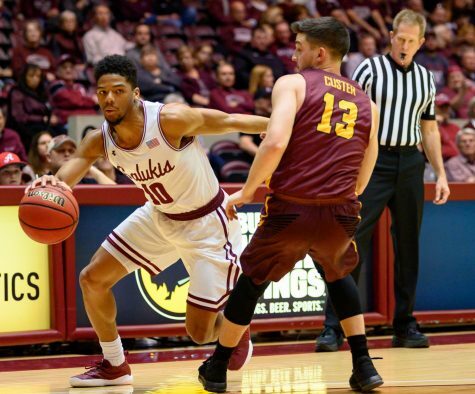 Southern’s first victory came on the heels of a disastrous weekend in Oxford, Alabama where the Salukis fell victim of a three-game sweep to Jacksonville State. The Salukis got the ball rolling early in the first as junior second baseman Nikola Vasic launched a solo home run to right-center field for a quick 1-0 lead. Vasic finished 1-3 with two RBI, three walks and three runs scored. Freshman third baseman Grey Epps kicked off the third inning with a walk. After Epps advanced to second on a wild pitch, senior infielder Connor Kopach hit a line drive to left field for an RBI single. 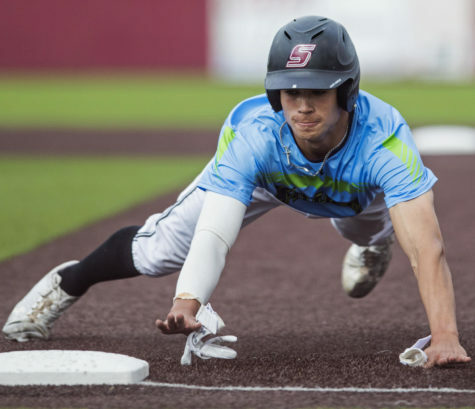 After back-to-back walks loaded the bases for SIU, senior infielder Logan Blackfan drove the ball up the middle. Two runs came across to score and junior left fielder Alex Lyon advanced to third base. Southern increased its lead to 5-0 when Lyon proceeded to score on a sacrifice fly from junior right fielder Kenton Crawford. The Governors put runs on the board in the bottom of the third when, following a walk, senior second baseman Garrett Giovannelli hit a two-run homer and narrowed the score to 5-2. 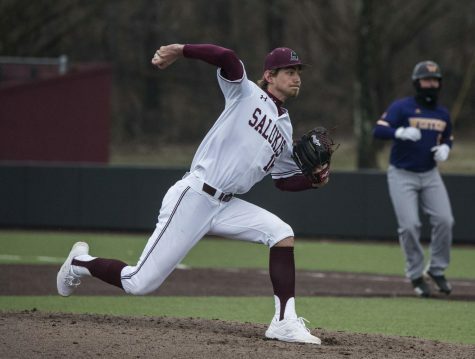 SIU had a big answer for Austin Peay in the fourth when a single and back-to-back walks loaded the bases. Lyon then connected for his first homer of the year with a grand slam and put Southern up 9-2. 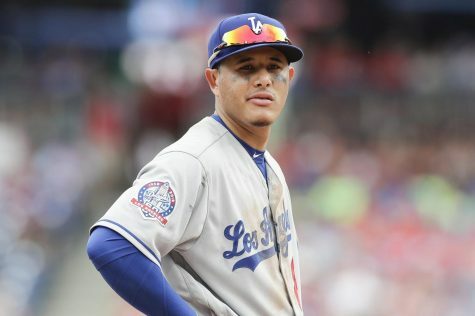 He finished 4-4 with five RBI and three runs scored. The game began to turn into a slug fest after four innings, as APSU senior center fielder Nick Walker responded with a solo homer that made the score 9-3. Walker repeated his previous at bat with another solo shot to left-center in the bottom of the sixth. Still up 9-4, Lyon knocked a single to left and proceeded to second on a fielder’s choice. On an ensuing throwing error on an attempt to steal third, Lyon scored and pushed the lead to 10-4. 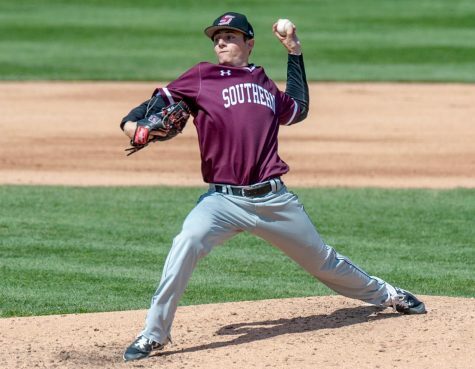 Southern then rattled off back-to-back hits before APSU’s pitching staff imploded. 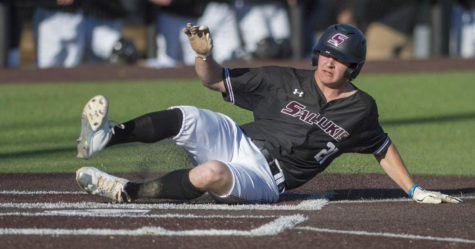 The Governors walked six consecutive Salukis, which pushed across five more runs and extended SIU’s lead to 15-4. APSU rallied for three runs in the bottom of the seventh. 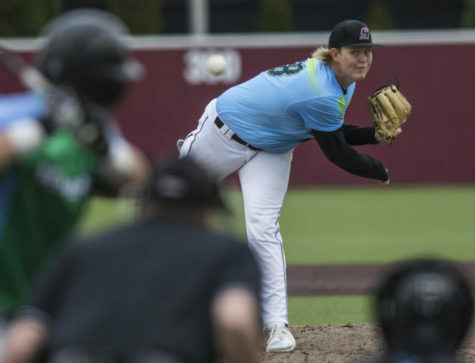 But, in the top of the eighth, Kopach drove in Epps, who had reached on a walk and advanced to second on a wild pitch, with a single up the middle. Sophomore Brad Harrison (1-0) got the win and gave up three runs with four strikeouts in five innings of work. 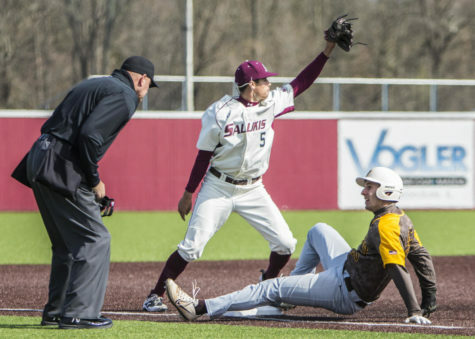 Up next, SIU (1-3) will head to Jacksonville, Florida on Feb. 23 to take on North Florida in a three-game series. First pitch is scheduled for 5 p.m.